Born midnight July 9 - July 10, 1856 Died midnight Jan. 7-8, 1943. 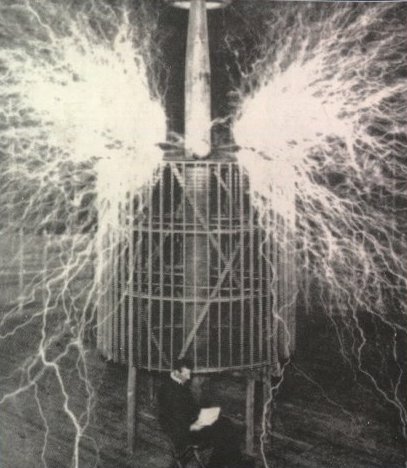 Nikola Tesla created astonishing, world-transforming devices that often were without historical precedent. The alternating current electrical system and radio are two of his 700 patents worldwide. Tesla also introduced the fundamentals of computers, robotry and missile science, and helped pave the way for such current technologies as satellites, microwaves, beam weapons (the present day top secret HAARP, which was formerly known as the Black Project Dr. Nik), and nuclear fission. Yet he remains one of the least recognized pioneers in scientific history. 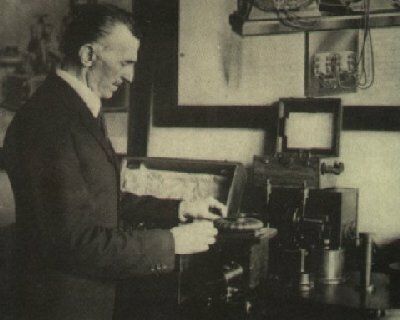 Tesla was born in Croatia in 1856. He emigrated to the United States in 1884. He lived and invented in Manhattan until his death in 1943. In the later part of his life he found happiness feeding the pigeons in the park in back of the main library. The time is long past overdue that we New Yorkers give this fellow New Yorker the righteous honor that he deserves. The world's greatest inventor.
" We are but cogwheels in the medium of the universe, and it is... an unavoidable consequence of the laws governing that the pioneer who is far in advance of his age is not understood and must suffer pain and disappointment and be content with the higher reward which is accorded to him by posterity"
Monument: Life sized Tesla (6'4") with arms outstretched, head slightly looking up smiling with pigeons all around (maybe 1 or 2 pigeons on each arm). To be placed on top of his own patent for a water fountain (with colored lights for night time). A large plaque giving recognition to his 111 United States patents. Alternating Current Electric Motors and Generators. Radio. Transformers (Tesla Coil) and Converters. High Frequency. Lighting. X-Rays. Engines, (Disk) Turbines and Propulsion. Measurements and Meters (speedometer). And Numerous Other Devices and Processes. Ask Westinghouse to fund as a thank you to Tesla for the AC patents royalties he gave them in 1897 that saved and made Westinghouse what it is today. "I do not think there is any thrill than can go through the human heart like that felt by the inventor as he sees some creation of the brain unfolding to success... Such emotions make a man forget food, sleep, friends, love, everything."